Take a break from the hustle and bustle of your daily life with the Baseball-in-Can Holder Combo. Printing your company’s logo on the ball and holder is a fun and popular way to promote your brand. Take a break from the hustle and bustle of your daily life with the Baseball-in-Can Holder Combo. Printing your company’s logo on the ball and holder is a fun and popular way to promote your brand. 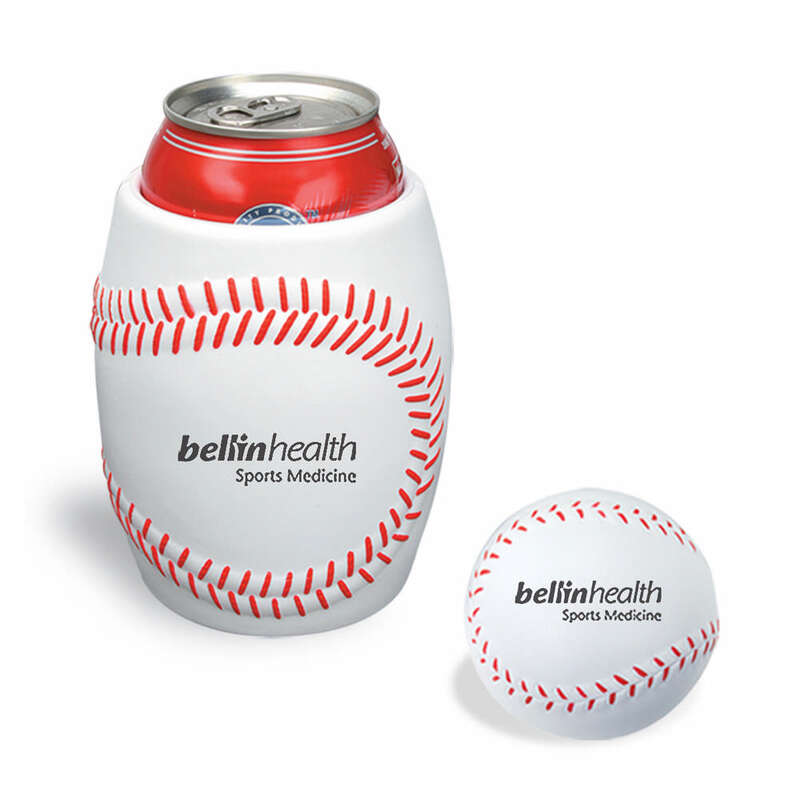 This set contains a Baseball Can Holder with the Baseball Stress Reliever. The can holder is made of strong and flexible polyurethane and has a textured grip. It holds a standard 12 oz. can. Stress relievers are not intended to be toys for children or for pets. These cans are cost effective giveaways for sports teams, for families, and for companies. Use this Stress reliever ball and can holder combo to serve as a walking billboard for your business.